Martin Winterkorn, former Volkswagen Group CEO. The United States indicted Winterkorn and other VW Group managers in May 2018, but Germany has not moved to extradite the accused. 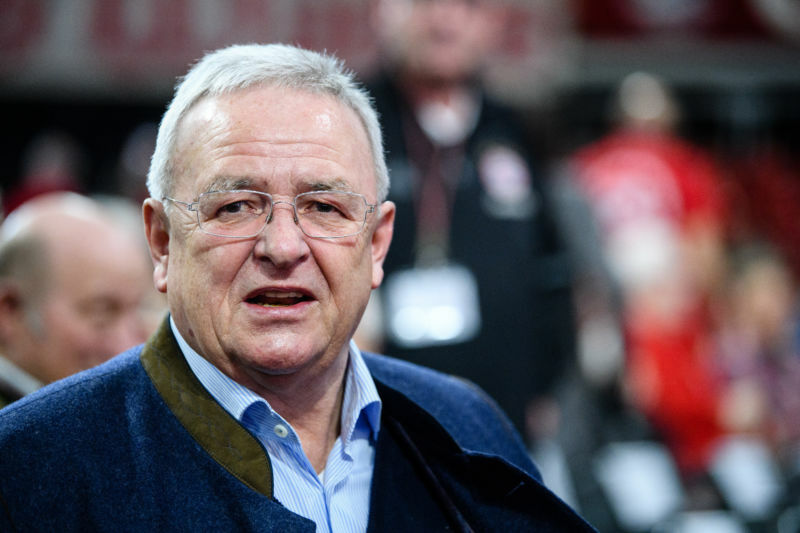 According to The New York Times, Germany’s indictment of Winterkorn is the country’s first criminal indictment in association with the emissions scandal. Former Audi executive Rupert Stadler was arrested in Germany last year, but he was soon released and has not been charged with a crime since that time. Several VW Group executives have been indicted in the United States, but so far only two men have been tried. Those two are Oliver Schmidt, Volkswagen’s general manager of emissions compliance in the US, and James Liang, Volkswagen’s Leader of Diesel Competence in California. Schmidt was arrested while vacationing in Miami and later sentenced to seven years in prison, while Liang was sentenced to 40 months in prison and two years of supervised release. According to The New York Times, the German public prosecutor tied Winterkorn and the other unnamed managers to knowledge about diesel scandal as far back as 2006, when Audi engineers first toyed with modifying a diesel vehicle’s emissions-reduction system.